I think I was only just into double digits when my obsession with P!nk began and even though I feel her music is going a little south of late I still adore everything she stands for! Now usually I would write a little on each album but there are only so many times I can say “Amazing”, “I love her so much”, “FIERCE!” etc before you all decide I am not worth my salt as a blogger and jump ship! I’ll get that out of the way here, I think P!nk will be an artist we need forever and will be remembered for her attitude, refusal to conform to the industries “beauty” standard and her message to women (and people in general) to be whoever we damn well please without apologies! Her music has saw me through some pretty tricky times and she has a song for every mood you could possibly find yourself in. Honestly, what’s not to love!? This is my go to album when I’m feeling sassy. It has a strong 90’s/early 00’s independent woman vibe that I adore! 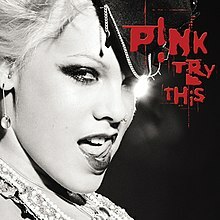 One of the first albums I ever owned this is my go to album when I’m feeling nostalgic, this was my introduction to P!nk. This for me was little blip for P!nk before she really peaked. I don’t dislike the album it’s just more of a go to when I need background music. This is definitely my favourite Pink album. Every single song hits home for some reason or another and it’s a perfect blend of soft songs and upbeat dance songs. The only song I dislike is Stupid Girls and I think that’s probably just because of how over played it was back in the day. This is a close second to I’m not Dead. 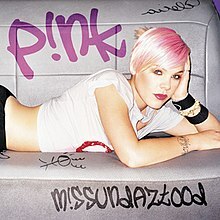 For many of the same reasons; powerful lyrics, good mix of upbeat and soft and the attitude is on point Pink. 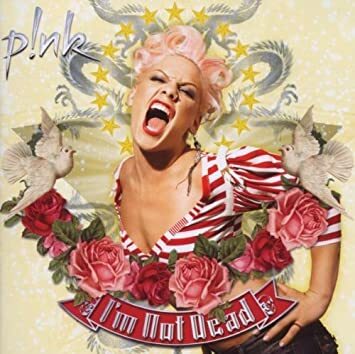 As much as I still adore Pink I feel like this album feels like it’s lacking something and I can’t quite put my finger on it. There are some beautiful songs and some great songs to dance to as always but there’s just a little less of her usual Pink trademark. I think after listening through it’s probably to do with the fact that all the songs are a lot more repetitious than the ones from previous albums. This is a little better than The Truth About love but again the songs seem to be missing something, something that really packs that Pink Punch. Half the P!nk fans I know think this is her best album so far and the others think it’s the worst so I guess it’s just one of those really divisive albums. I do like Pink, but I tend to like her more as a person than I enjoy her music. I do love some of her songs, like Family Portrait and Don’t Let Me Get Me, but there are several I have never managed to get into. Still, I wouldn’t say a bad word against her. I love what she does in campaigning and speaking out about important issues and living our true selves and I’d say I love that more than her recent two albums. Aww thank you, a few times I have thought of stopping the series because I didn’t really know how people felt. It gets a few likes but not alot of interaction like my Monday posts. Her first album will always be a favourie for me!! Great post, I didnt realise she had so much music out there. 27 y/o UK blogger on a journey to love myself and find my path.